Firstly I’d like to think that I’m fair-minded when it comes to music, I’ll listen to just about anything and decide whether I like it or not, doesn’t matter the genre because as we all know a good song is a good song no matter who sings or plays it. And because I love rock music above all else I pride myself on giving the different types of rock that there are a go just to see what they sound like. Let’s face it, if you did not do this, acts at the heavier end of the music scale like Opeth, Therion, Candlemass etc might just pass you by, which would be a great shame. So even though I’m a card carrying member of the AOR Mafia, I still like listening to prog metal/rock, heavy metal with all its sub genres and more besides. My only thing is that the singers in those genres have to do just that: sing! 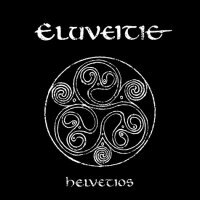 And whilst not as extreme as the other vocalists (reviewed elsewhere) Eluveitie’s Chirgel Glanzmann has that shouty style that is right for his band and its music but wrong for me. That said out of all the albums featuring this style of vocal, that I have reviewed this issue ‘Helvetios’ is easily the best. The band play Pagan folk metal and have on this album one of the most breathtaking productions I have heard in many a year. Joined to this is some of the most over the top musicianship that you will ever hear, which will probably appeal to some of you I have no doubt. 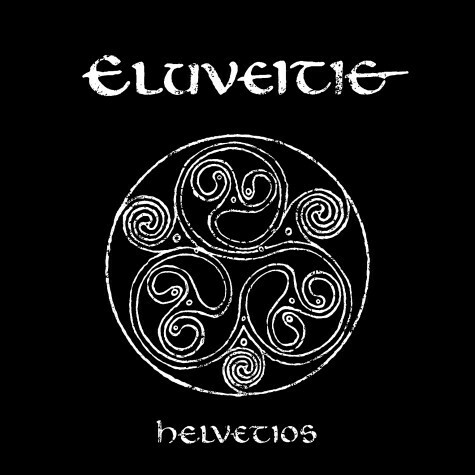 Having an album that is full of amazing musicians, and a production that is out of this world all goes to make listening to ‘Helvetios’ a very interesting experience. The album is dramatic, powerful, cleverly arranged and plain bloody daft in places, yet the music really works and it is my problem that I cannot get past a lot of the vocals on it. Which stops me really getting to grips with what I know is a superb slice of metal. But - and it’s a big one - this CD will appeal to some of you, the more adventurous music fan who likes to try out new genres and styles of rock, so please give it a go because ‘Helvetios’ is a fantastic sounding album, that maybe if it had less shouted vocals, would have been one of my albums of 2012.